So far nicerobot has created 25 blog entries. Recently we started enforcing that robot names can have only alphanumeric, underscore (_) and dash (-) characters and must be at least 3 characters long. The reason for this move is that robot names are used in generating run_id and later file names. Some nontypical characters in robot names were causing problems when processing files using various ETL tools, storing in file systems. All existing robots were modified by replacing non-compliant characters with underscores. 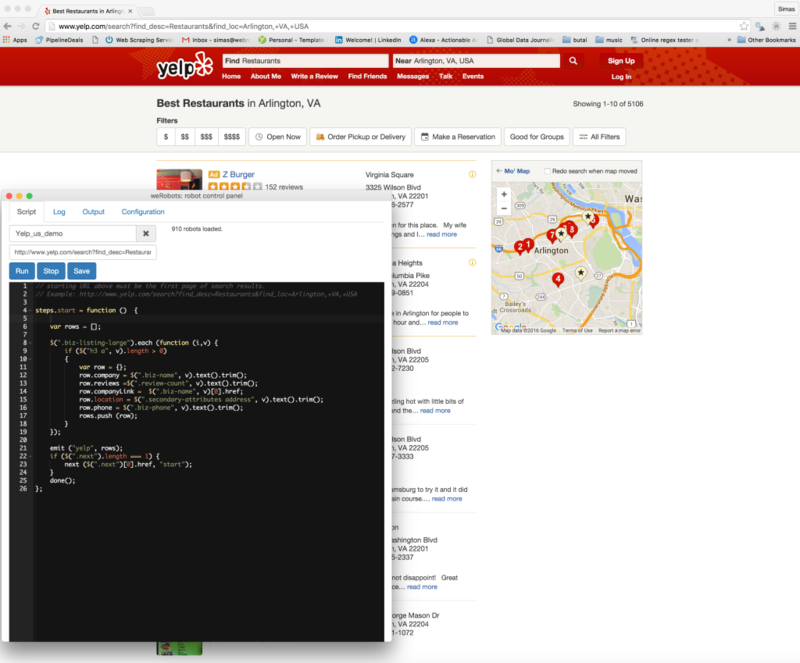 We get a lot of requests to scrape data from Yelp. These requests come in on a daily basis, sometimes several times a day. At the same time we have not seen a good business case for a commercial project with scraping Yelp. We have decided to release a simple example Yelp robot which anyone can run on Chrome inside your computer, tune to your own requirements and collect some data. With this robot you can save business contact information like address, postal code, telephone numbers, website addresses etc. 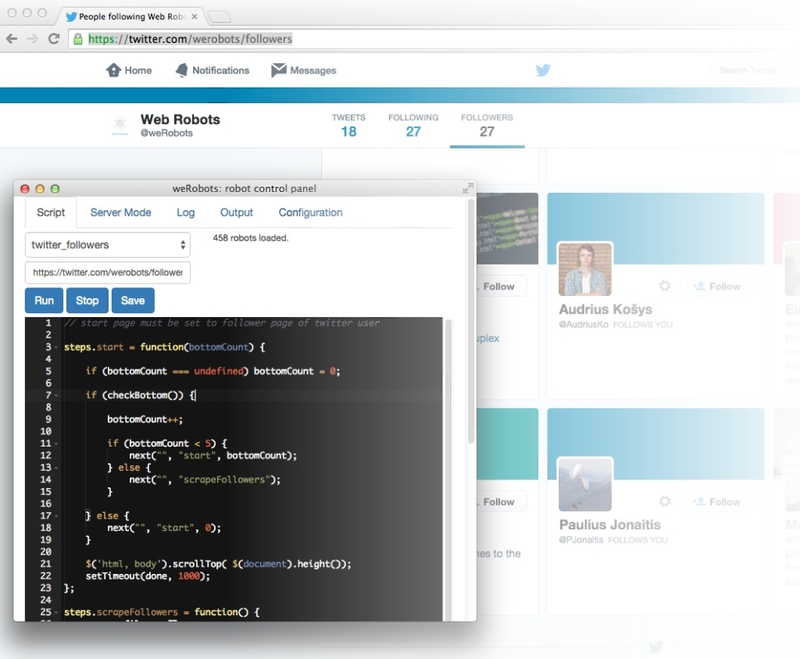 Robot is placed in our Demo space on Web Robots portal for anyone to use, just sign up, find the robot and use it. We are excited to announce UK LPA Search – it is a search engine for all UK’s local planning authorities. Until now there was no possibility to search LPA databases from one place. One had to find each LPA’s website and search inside it. Considering there are few hundred of them – this would not be an easy task for a human. Our robots have no problems indexing all databases and providing them as a single dataset. Fork() – split robot into many parallel robots and run them simultaneously. This feature shortens long scraping jobs by parallelising them. Cloud autoscaling handles necessary instance capacity so our customers can run 100s of instances on-demand. skipVisited – allows robot to intelligently skip steps to links that were already visited. 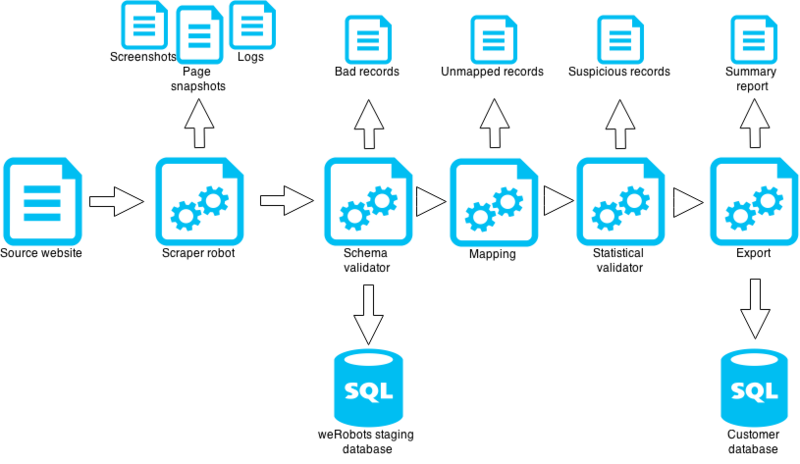 Avoid data duplication, save robot running time. 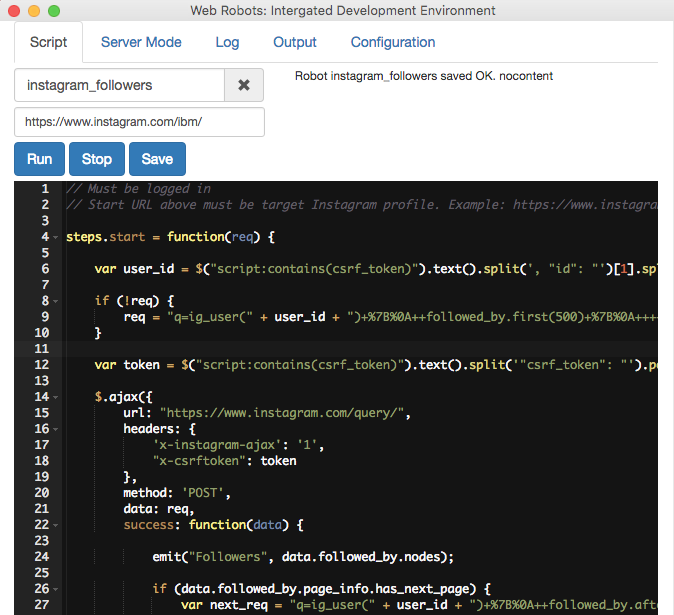 respectRobotsTxt – crawl target sources with compliance to their robots.txt file. These features are explained in detail and examples added to our framework documentation page. But query writing can be difficult and non obvious at first. Official documentation doesn’t have many samples. Many useful queries need other great but not widely known features of PosgresSQL like LATERAL joins and recursive queries. This tutorial has some real world examples. Query returned successfully: 11351 rows affected, 1025 ms execution time.